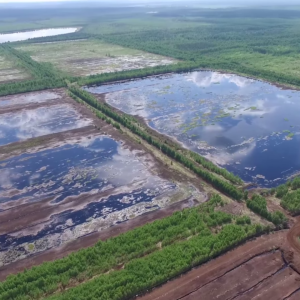 Peatlands cover over 8% of the Russian territory, making up for as much as 20% of the country’s land area if shallow peat soils and waterlogged lands are included. Although most peatlands have remained intact, several million hectares of peatlands have been drained and used for peat extraction, agriculture, and forestry. 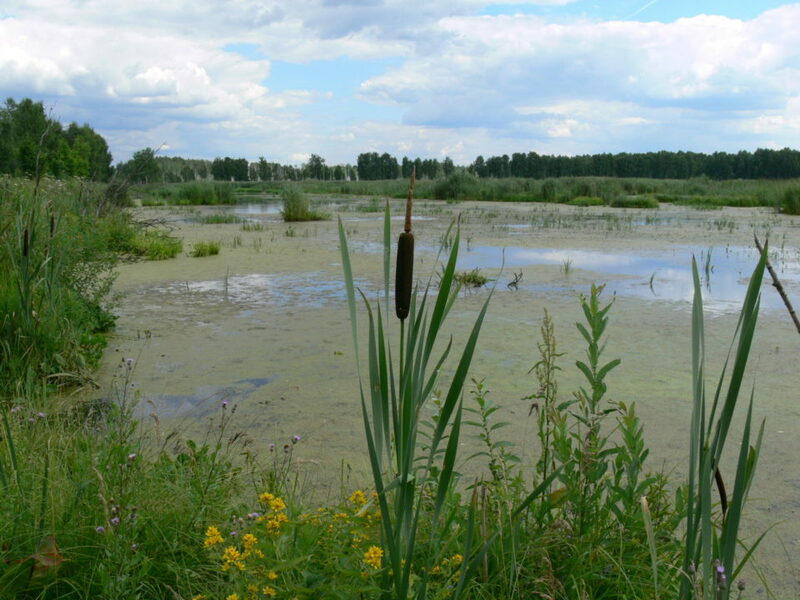 The peatland area used for peat mining is especially great in the Moscow Province. 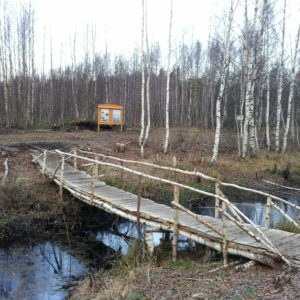 Peat production became unprofitable in the 1990s, and many mining sites were abandoned without taking rehabilitation measures. 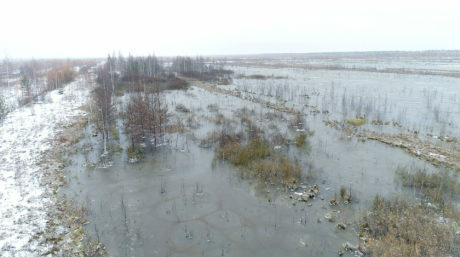 Drained peatlands are exposed to wind and water erosion. As a result, oxygen penetrates deep into the peat layer, oxidizes carbon stored in peat, and escapes to the atmosphere as carbon dioxide. Fire hazard increases dramatically in hot and dry years. The heavy clouds of smoke resulting from peat fires, such as those that wrapped Moscow in summer 2010, have a significant economic and public health impact. The fires also destroy habitats of many species of plant and animal that depend on peatlands, thus reducing the biological diversity. Fire related carbon losses furthermore add to the already significant carbon dioxide emissions from peat oxidation in drained peatlands. Thus, peatland degradation plays an important role in fuelling climate change. 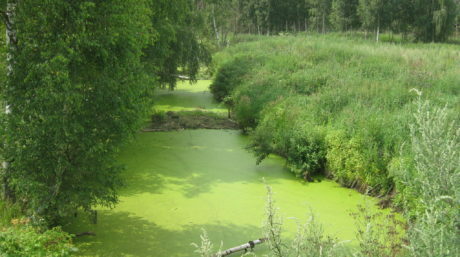 This situation can be resolved by means of rewetting (secondary paludification) of drained peatlands that returns them to their original water-logged state. Rewetting and establishing a sustainable use of these lands prevents fires, while also mitigating the negative impacts of peatland degradation on the climate and biodiversity. Rewetting is done by blocking drainage ditches so that the peatlands’ water storage capacity is restored. 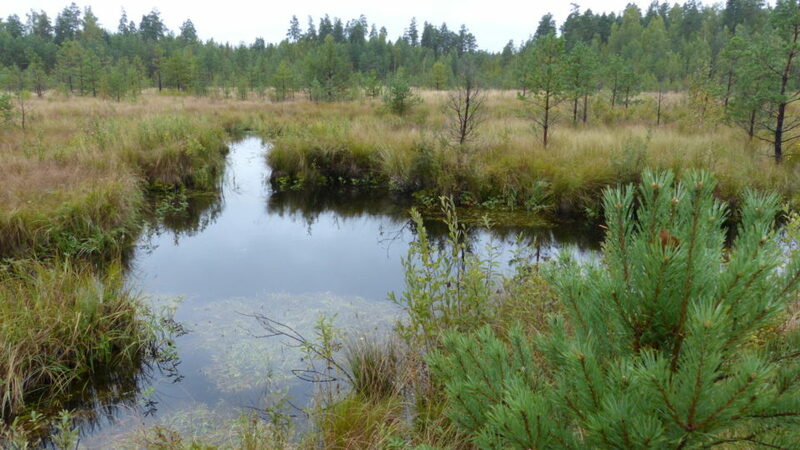 Regeneration of natural peatland vegetation helps to restore important natural functions or ecosystem services that peatlands provide, such as water regulation, biodiversity conservation, and carbon sequestration. 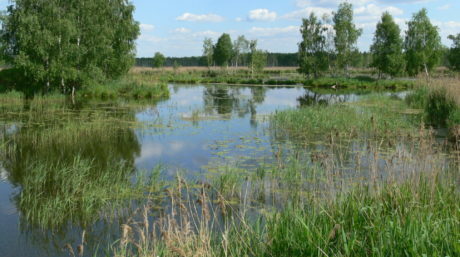 Restored peatlands can be used for paludiculture (wet agriculture) and forestry, which is beneficial from both economic and ecological points of view. 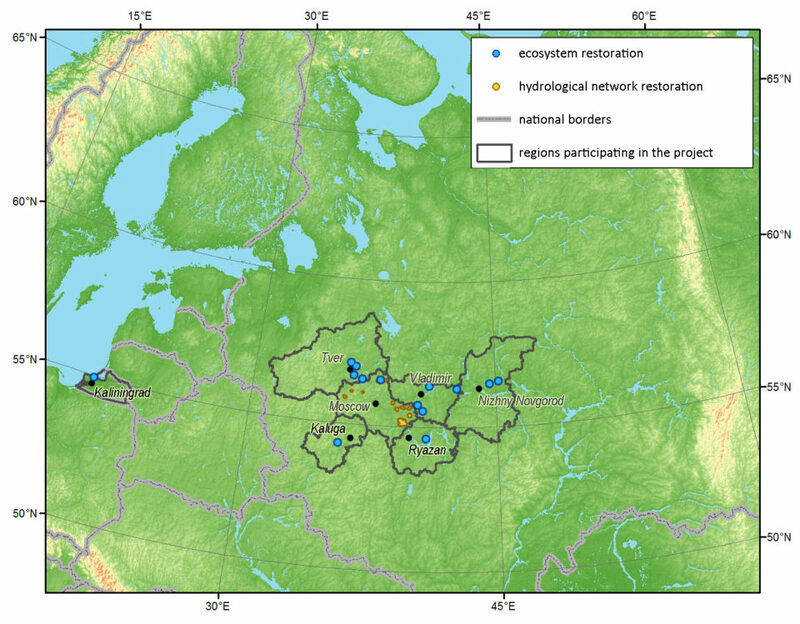 To demonstrate possibilities of effective peatland restoration, several pilot projects were implemented in the Moscow, Tver, and Vladimir Provinces under the first stage of the project “Restoring peatlands in Russia”. On the second stage Kaliningrad, Nizhniy Novgorod, Kaluga and Ryazan’ Provinces have joined the project.